Thayer Coggin has a long history of manufacturing custom, American-made, modern furniture. Trendsetting designer, Milo Baughman, inspired many of the designs for this North Carolina company! The Design Classic is one of Milo’s most famous designs! 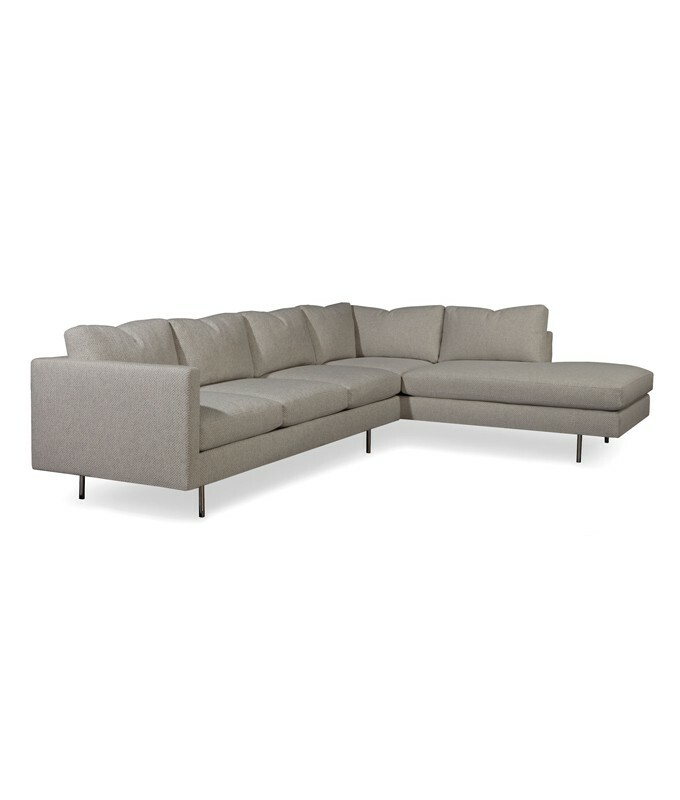 The Design Classic collection includes a sofa, loveseat, sectional, chair + ottoman. It is available in a variety of fabrics or leathers with polished stainless steel legs.